Fast as a grouse’s wing tip, sleek as a pheasant’s tail feather – The new Caesar Guerini Ellipse EVO represents the next generation of upland game gun. With graceful rounded action and streamlined stock it handles, feels and looks like the world’s best handmade round body shotguns. We obsessed over every detail from the engraving created to accentuate the curve of the action to something as obscure as the shape of the trigger. This is not a quick makeover of our existing models; the barrels, action and stock are all different. 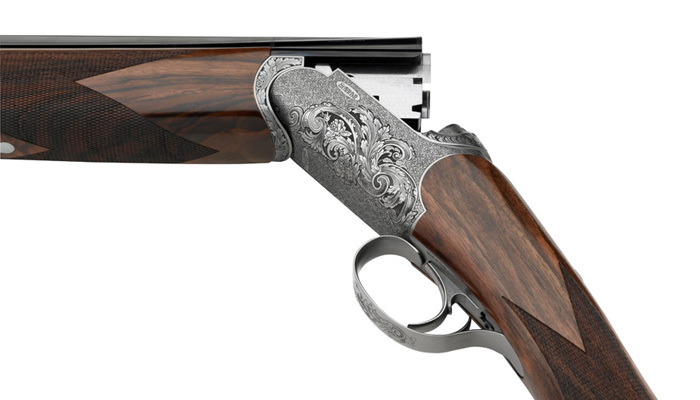 The Ellipse is simply the evolution of the fine over-and-under hunting gun.